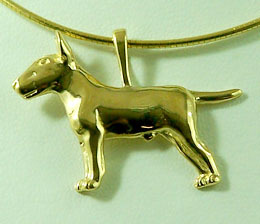 The Bull Terrier is a gentle giant who lives for your compansionship. They're courageous, friendly, loyal and a bit humorous at times. 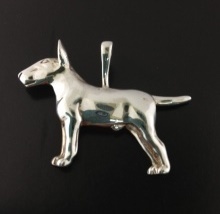 You know Bull Terriers don't do so well when left alone, so pick up one of our lifetime gauranteed chains, and take him with you wherever you go.